The Belles and Beaus Dance Club recently held a graduation ceremony for new students at the Gavin employees club house. An evening of fun, laughter, games, dancing and food was enjoyed by the members and the students, according to club members. Classes for new dancers begin again in September in Cheshire at the Gavin employees club house. 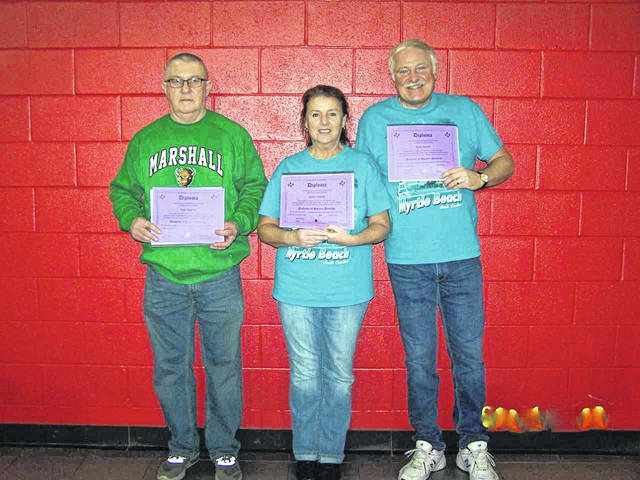 Pictured are new graduates, from left, Dale Dalton, Cathy Smith, Rick Smith.